Most municipalities don’t soften water in a central location before providing it to your home. This un-softened water, or hard water, can cause a buildup of minerals, also known as “scale”. Scale can harm the efficiency and lifetime of your plumbing, appliances, and fixtures. Even if your municipality is using surface water, reservoirs or lake water, you may need a softener to help reduce the buildup of minerals in your home. What effect does hard water have? 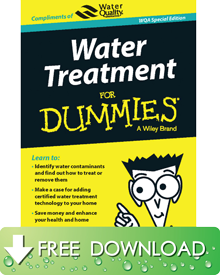 The Water Shop can test and verify if you’ll need a softener to reduce or remove extra minerals from your water supply.